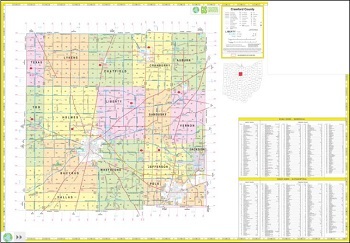 Click either of the links below to access the Crawford County highway map online. These maps contain a view of the whole County on the front side and detail views of all cities and villages on the back side, as well as road and street index listings. They may be panned and zoomed for clarity, and may viewed in full-screen mode, by utilizing the on-screen control buttons. 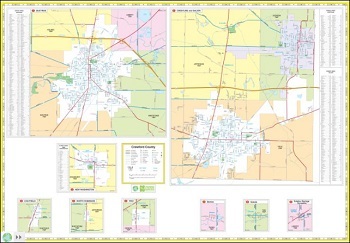 Printed/folded County maps are also available and may be obtained at the Crawford County Engineer's Office during normal business hours.